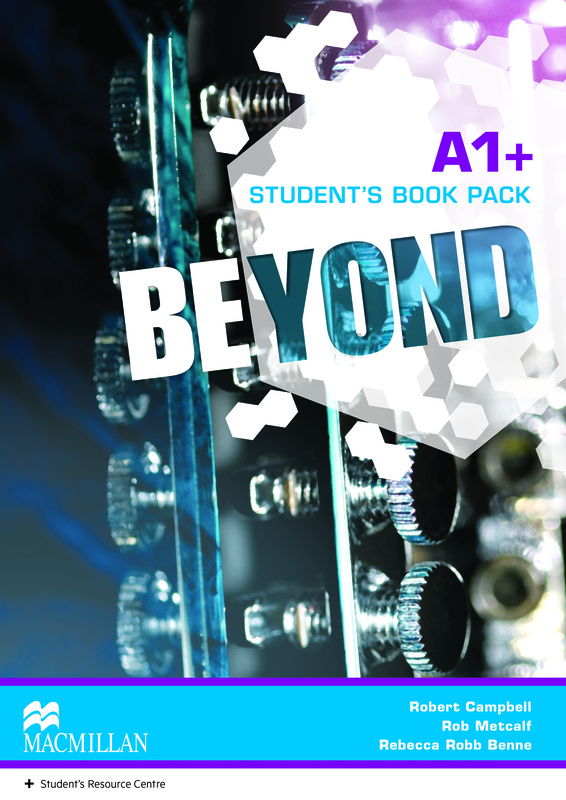 Beyond is a new and exciting 6-level course for teenagers learning English. The course covers CEFR levels A1+ through to B2, with all levels being based on mapping of the requirements of the CEFR and international exams. Beyond comprehensively addresses all key language skills through a thorough and detailed sub-skills syllabus supported by How to ... tips. Beyond also has a detailed and verified life skills syllabus specially designed to support students with the life skills they require, both during their education and in their life beyond. How do I register my Online Workbook? Steps to register to the Online Workbook. Why am I unable to access the Online Workbook? Reasons why you are unable to access the Online Workbook. I have the Premium Book Pack and I have already registered for the Resource Centre, how do I access the Online Workbook? Access to the Online Workbook with the Premium Pack book. Can I change my login details on the Resource Centre? How can I join a class on the Online Workbook? Steps to join a class on the Online Workbook. What are the system requirements for my Online Workbook? How do I activate my code and log in to the Resource Centre? How to activate your code and log in to the Resource Centre. What should I do if I forget my login details for the Resource Centre? Information on how to retrieve your login details. As a student, where can I see my answers on the Online Workbook? Steps to see your answers on the Online Workbook. As a student, where can I see my scores on the Online Workbook? As a teacher, how can I create a class to track my students’ progress on the Online Workbook? How to create a class on the Online Workbook. Why are some activities locked on the Online Workbook? Locked activities on the Online Workbook. What does the lock icon mean on the Online Workbook? Steps to use the lock icon on the Online Workbook. How do I see my class and students’ progress and scores on the Online Workbook? Steps to view your students' progress and scores. As a student, how can I see the correct answers when I have submitted my activity on the Online Workbook? How to see the correct answers as a student on the Online Workbook. As a teacher, how can I see the correct answers when I have submitted my activity on the Online Workbook? Viewing the correct answers as a teacher on the Online Workbook. Where can I find the audio files on the Resource Centre? Information on where the audio files can be found. I can’t open a PDF. Why not? Information on how open PDF files. Can I view the videos with subtitles on the Resource Centre? Information on subtitles for the videos. How do I change between the teacher and student resources on the Resource Centre? How to change between teacher and student resources. How can I access the video scripts on the Resource Centre? Information on how to access the video scripts. Where can I find the video files on the Resource Centre? Information on where the videos can be found. What are the system requirements for the Resource Centre? System requirements for the Resource Centre. What resources can I find on this site for Beyond? How can I access the Test Generator? How can I receive the onestopenglish loyalty discount if I have paid with PayPal? Please contact us to receive the 10% loyalty discount for onestopenglish.